Having one kid is pretty impressive stuff, but giving birth to two, three, four or more is seriously life-changing. Especially when they’re all incredibly good looking! From all four corners of the globe, here are some of the most beautiful twins, triplets – and some quadruplets for good measure – from around the world. Their joint Instagram account has nearly 150,000 followers – and looking at this photo you can see why. Klaudia and Laura Badura were born in Poland and are pretty much identical. Can you tell them apart? They now have their own careers, both living in London and modeling. Laura has the most Instagram followers at 634k compared to Klaudia’s 435k (ouch) and is often traveling back and forth between Dubai and London for work. These two started their childhood taking part in gymnastics together from the age of 3. They then started swimming together aged 7, which paved the way for them to become world famous synchronized swimmers. The pair both got chest implants, which led to them being noticed for a lot more than just their swimming. Suddenly they were inundated with modeling jobs and went onto become MTV presenters and actresses to boot. We doubt these two will ever find themselves short of work! Originally from Poland, the Okapiec triplets traveled to Washington D.C., America, in order to earn Undergraduate and Master’s degrees in music. Turns out, their efforts paid off, as they set up the band Alizma (yes, it is a combination of all their names). This has led to careers in music, traveling around the globe, and earning themselves plenty of adoring fans. You may have seen them on Hannah Montana, Last Call with Carson Daly, and America’s Got Talent. When these two started sharing photos of themselves together on Instagram, they couldn’t imagine the fame that was going to come with it. They were offered a modeling contract for Peppermayo, a fashion store in Sydney that sells clothes online. From here they managed to build up their Instagram following (Elisha has 379k followers, and Renee has 410k), turning their social media into a career in itself. The pair have a house together in Queensland, Australia, and go to school there too! These two tried to keep a low profile for quite some time, often just called the ‘Russian twins’ with names unknown. Performing as DJs, it wasn’t long before the media found out their names and gave the twins the fame they never asked for. However, it hasn’t all been bad news. 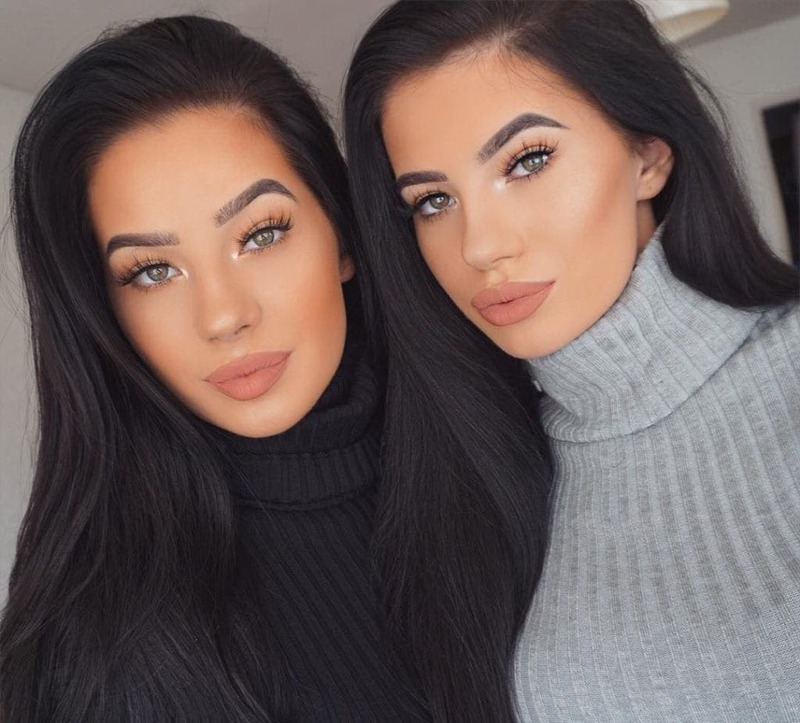 They quickly used the newfound fame to their advantage, creating social media profiles to promote their similarity to Angelina Jolie – and landed modeling contracts in the process. Not all bad then! If you hadn’t guessed by the picture, these twins have got some serious moves. According to their profiles, they are athletes, acrobats, dancers and…contortionists! The pair have always done everything together, learning gymnastics from the age of 3 and then dance at the age of 6. They soon followed in their acrobat mother’s footsteps to complete their range of multiple talents. They made it pretty far through Australia’s Got Talent but haven’t been seen since the show finished. Everyone expected these twins to go far, thanks to their first modeling contracted at the young age of 10. However, no one expected them to become some of the most renowned lingerie models in the world! Born in Kentucky, the Davalos twins may look the same but are apparently completely different when it comes to their personalities. Camila is thought to be outgoing and loves the cameras, whereas Mariana is more of an introvert. They also once both hostesses on Rumbas de la Ciudad. You might recognize these two from their original appearances on The Bachelor and Bachelor in Paradise. 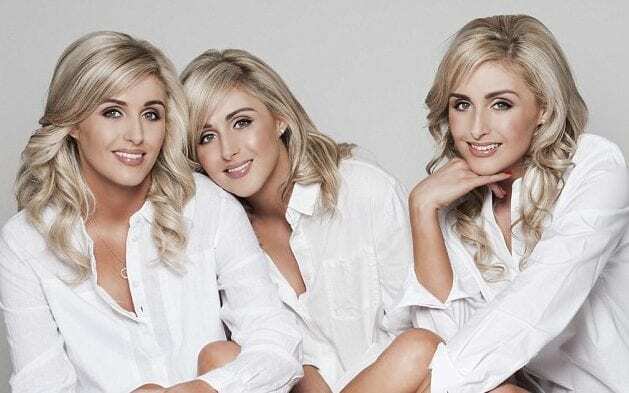 People fell in love with the identical blonde twins, which led to the pair getting their own TV show. The twins, who are now 24, have moved to a luxury pad in Los Angeles, away from Las Vegas. However, they admitted their mom still does all of their cooking and laundry. Not quite as grown up as they’d like to make out then! These jaw-dropping twins may be quite familiar to wrestling fans, as they’ve been part of the WWE universe for quite some time. The Bella twins are pro-wrestlers signed to WWE, along with dabbling in modeling and acting. They’ve taken over our screens in the form of the wrestling, awards shows, and even some reality TV shows. Both are coupled up with some of the biggest names in wrestling too; Brie has married Daniel Bryan, and Nikki is dating John Cena. Not two, not three, but four beautiful sisters! Born in the Bahamas, the Pyfrom quadruplets turn heads wherever they go, and admit they had quite a modest upbringing before moving to California. They all attend Sunnydale College and have one big pet love (dark chocolate) and one big pet hate (insects). However, that’s where the similarities end as they all have incredibly diverse personalities, likes, and dislikes. Even if they do all look like the same person! You may recognize these redheaded triplets, probably due to their band Red Roots. The trio plays bluegrass gospel music, focusing on their faith and family in their lyrics. They were just 5-years-old when they joined their local church choir, and their musical journey began. The Taylor triplets then decided to learn not one, not two, not three, but FIVE instruments; banjo, bass, guitar, mandolin and the violin. With their angelic faces and their beautiful music, it’s no surprise that these three have become famous through their joint passion. These Canadian triplets were the ultimate Christmas gift for their parents, as they were born on Christmas Day in 1990. Their mom is Ukrainian, and their father is Chinese, creating a unique beauty that is unparalleled by many other triplets. They’re not just a pretty face, however, as two of the three featured in X-Men: Wolverine. It’s thought that all three were due to be in the movie, but visa issues prevented that from happening. What a shame! 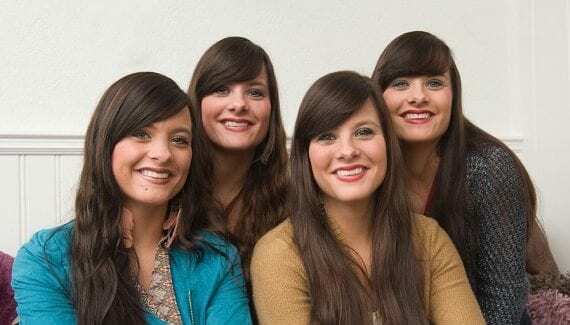 Identical twins are one thing, but identical quadruplets! Hailing from The Netherlands, the Akse sisters grew up in the small town of Hardenberg. Growing up in such a close community meant that the quadruplets were always turning heads and became a bit famous in their own right. This led to them landing their own reality show called De Vierling (meaning Quads) aired in The Netherlands. All four have beautiful personalities as well as dazzling smiles; they’re onto a winner there! These two will be quite familiar to anyone who reads fashion magazines, as they appeared in both Vanity Fair Italia and Harper’s Bazaar Arabia’s Best-Dressed List. From there, they managed to secure dozens of modeling jobs and travel around the world for work. Their mother owns a high-end fashion boutique in Riyadh, where the girls grew up, which meant they were constantly traveling for fashion weeks and shoots growing up. It makes perfect sense then that they’d become famous in the fashion world themselves. There must be something to do with being a triplet and becoming seriously musically talented. The Kim triplets are another example of awesome musicians, as they all play a stringed instrument and sing. They formed the pop band Infinity of Soul, based in Seoul, and have garnered quite a few fans through their music. The girls take inspiration for their music from all over the world, with their songs often described as African and Russian folk mixed with electronic beats. These twins first hit the spotlight performing at the World Rhythmic Gymnastics Championships held in Budapest back in 2003. They won the silver medal for their Bulgarian team, with a pretty impressive score of 50.175. Since then, people have been obsessed with following their every move – after all, it’s not every day you see rhythmic gymnastic twins! Nowadays, unfortunately, the twins have retired from gymnastics, and there’s not been much more from them. Boo! These Russians twins have enjoyed quite a lot of success in their home country, particularly in the theater, TV and movie industry. The pair studied together at M.S. Schepkin Higher Theater School in Moscow before building their own acting careers. Tatyana married fellow actor Ivan Zhidkov in 2008 and gave birth to their daughter (Maria) in 2009. However, the pair got a divorce in the summer of 2013. The twins are still making waves in the acting industry though! These twins like to keep themselves out of their limelight, despite being pretty incredible gymnasts. Born in 1992, these Russian athletes won the title of ‘Master of Sports of International Class’ back in 2007. That’s not an achievement that comes lightly; it will have taken years of hard work and training. Little can be found about the twins online, as they like to keep themselves to themselves. We’d quite like to see how many hundreds of thousands of Instagram fans they’d get if they set up a profile! Many people will know the name Gisele Bündchen, particularly as she is one of the most famous (and highest paid) supermodels in the world. However, not many people will know of Patricia – her twin sister! The Brazilian twins were born in 1980 and have clearly gone down very different paths in their lives. While Gisele was named as one of the richest women in the entertainment industry, back in 2007, Patricia took on a job as a manager and spokeswoman… For her twin sister! There’s no denying these two are pretty unique looking twins! Their doll-like faces are models, mainly in the fashion and pin-up world. In fact, the Barbi Twins started modeling back when they were seven years old, so it’s been pretty much all they’ve known. However, since the year 2000, the gorgeous sisters changed career paths. Instead of modeling 24/7, they used their fame to campaign on issues they feel strongly about, including health issues and animal rights. A pretty different type of career then! young age, the pair have modeled and performed alongside each other, often acting out their own plays to their family. As adults, the duo have seen success in TV commercials, glossy magazines, and even on the catwalk. They’re not just a pretty face, however. The Boman twins have Bachelor’s Degrees in Business and Finance. These Irish triplets grew up on the quaint, quiet Isle of Man; a small island in between Britain and Ireland. Being isolated on an island hasn’t stopped them bringing in the work, however. Since the age of 16, the Crimmins triplets have been inundated with modeling job offers and have seen plenty of success over the years. Along with their modeling work, they have featured in advertisements, taken part in several TV appearances, and even in several fashion photo shoots. The triplets now work and live back and forth between the U.S. and Ireland. 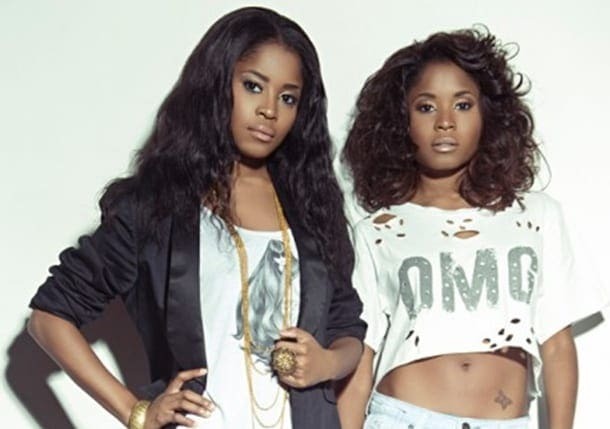 If you don’t recognize these twins, then you clearly didn’t listen to the R&B sensation that was Cherish! The girls set up the band with their two older sisters, Farrah and Neosha, having started singing when Farrah was just 7-years-old! By 2008, the band split, and the twins announced they would be working on their own thing away from their sisters. They’re now considered a musical duo, but not quite as successful as when they were in Cherish. These twins are absolutely adorable, so it only makes sense that they have an adorable nickname to match. Known as Samanda, the pair found fame in the Big Brother house back in 2007. They reached second place together, which certainly opened up some doors for them. They released a fitness DVD in 2008, known as Samanda – The Twins Dance Workout, along with releasing their own fragrance and skincare line. The two were also signed by Hello Kitty as their official bloggers and faces of their social media. If you don’t see these girls and get THAT song stuck in your head then where were you in the early 2000s? Yes, Monica and Gabriela Irimia are the Romanian-born pop sensation The Cheeky Girls, who found fame after auditioning for Popstars: The Rivals. While they didn’t win the show, they did earn themselves plenty of fans and managed to secure four top-10 hits in the UK. Their most famous ditty, Cheeky Song, sold more than 12 million copies across the globe!! There’s definitely something about twins or triplets and musical ability! Yet another twin music sensation, Mercedes, and Phoenix Arn Horn are better known by their band name, Courage My Love. This rock band, originally from Ontario, won Best Breakthrough Artist of the Year at the Juno Awards in 2014. The very same year, Phoenix Arn Horn made headlines by saying that she was gay! The band has seen moderate success over the last few years, but it’s the duo’s beauty that keeps fans coming back for more. Fans of the Kardashians will know Malika and Khadijah Haqq, the twins who are best buddies with Khloe Kardashian. That’s not the only reason they’re famous, however. The pair are both actresses and models, and Khadijah is married to the football legend Bobby McCray. They have a son together, Christian, and so one twin spends most of her time building her family, while the other spends her time developing her friendship with the Kardashians. Pretty different lives then! America’s Next Top Model fans will recognize Naima Mora as winning Cycle 4 of the hit reality TV show, but very few know she has a twin sister! Naima was seen as an unlikely winner of the modeling show, due to her quirky looks, so surprised the nation when she nabbed the contract and Elle magazine spread. Her sister, on the other hand, much prefers being on the other side of the camera. Nia Mora is a photographer who works all over the world. Handy to have a model and a photographer in one family! These English actresses first made a name for themselves in The Suite Life of Zack and Cody, before moving onto bigger and better things. The pair actually landed themselves their first role after going to the live audience to watch the show, before being plucked out of the crowd to feature in The Suite Life of Zack and Cody. Camilla and Rebecca also featured in the movie Legally Blonde, and have tried to pave a career in the music industry too. These quirky twins are originally from Toronto, Canada, before moving to Halifax in order to attend university. It’s at this college where they set up Ghost Bees, an acoustic folk band which did quite well. As their sound changed from folk music to more electronic and experimental, they decided to change their name to Tasseomancy. 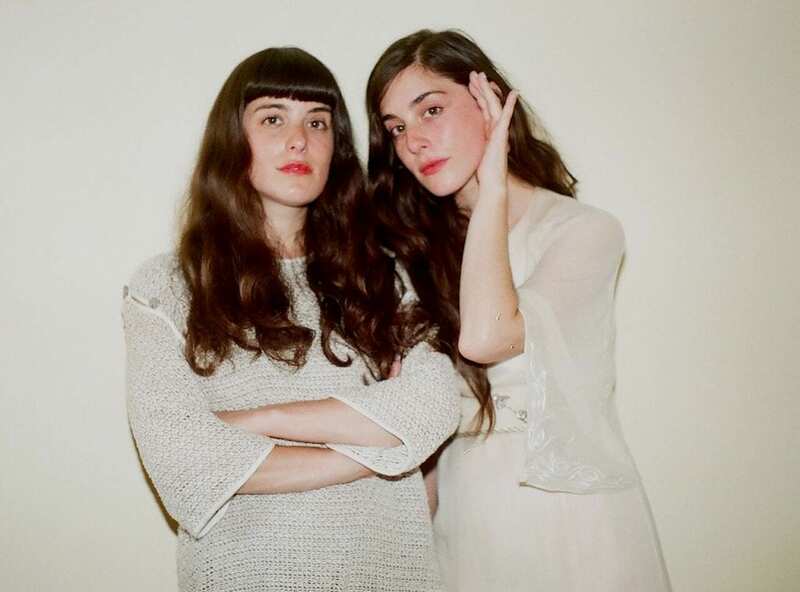 They have since toured America and Canada, showing the world what they’re made of – both as musicians and awesome twins.